Greek white wine is produced from both indigenous and international grape varieties. The most significant indigenous Greek white wine-grape varieties are Assyrtiko, Debina, Moschofilero, Roditis, Savatiano and Vilana. 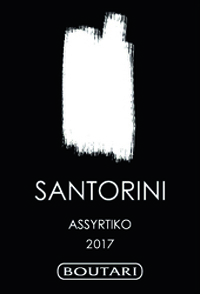 Assyrtiko is perhaps the best-known quality Greek white- wine grape variety. It can retain acidity in hot growing conditions, and this ability has seen its popularity spread from its native Santorini to other parts of Greece—notably Halkidiki. It has a distinctive mineral character and ages well. It is sometimes blended with the indigenous Malagousia or international varieties like Sauvignon Blanc and Sémillon. Debina is a white wine grape variety grown in Epirus, northwest Greece. Here, at elevations of up to 700 meters, the grape can retain high levels of acidity. The Debina grape is the only permitted variety in the light Greek white wine of the Zítsa appellation, often produced in an off-dry or sparkling style. Moschofilero is best known for producing low-octane aromatic, spicy and delicate Greek white wine, though it is also used in the production of rosé and sparkling wine. It is cultivated primarily in the Mantinia region in the Peloponnese. Robola is grown on Greece’s Ionian islands, particularly Cephalonia, and gives its name to both the grape variety and the wine that it produces. Robola is a distinctive and highly regarded Greek white wine with a lot of power, acidity and extract. It has dry citrus flavors, notably of lemon. 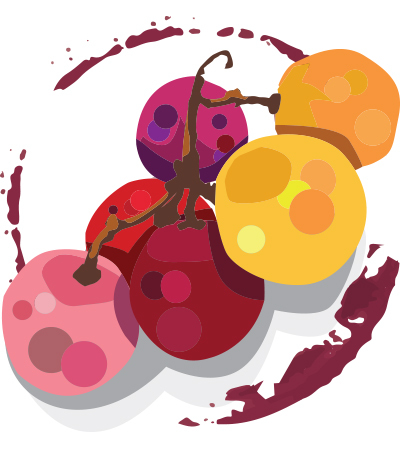 Roditis is a slightly pink-skinned Greek white-wine grape variety grown particularly in Anhkíalos in Thessaly, central Greece. It is a late-ripening variety that retains acidity well in hot growing conditions, though it is particularly susceptible to viruses and powdery mildew. Often blended alongside Savatiano, it is also used in the production of the distinctive Retsina. Savatiano is the most widely-planted Greek white wine grape, with considerable holdings in Attica and Central Greece. It is naturally low in acidity and highly resistant to drought. It is the primary grape in Retsina, sometimes blended with Assyrtiko or Roditis to counteract its low acidity. At its best, Savatiano can produce high-quality Greek white wine, with well-balanced acidity. Vilana is a white wine grape variety native to the Greek island of Crete. As a single varietal, The Peza appelation requires 100% Vilana and produces aromatic, lightly spicy and dry white wine, Sitía requires 70% Vilana and it is blended with Thrapsathiri. Explore Greek wines and other white wine options using our Buying Guide database. This online tool makes it easy to find the information and wine reviews needed to make the perfect selection!